Though Dr. Karin Muraszko is the only woman leading a neurosurgery department in the country, her gender isn’t the only characteristic that makes her stand out. The 4-foot-9 inch surgeon has spina bifida — a condition that prevents the spine from properly developing. 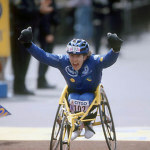 Jean was born in Milwaukee, WI with spina bifida (an open spine). 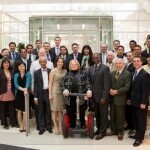 It affected her ability to walk and included other neurological complications as well. Although there were challenges during childhood, her determination to get the most out of life was always there. 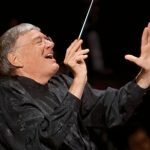 As a featured guest conductor in nearly every major orchestra hall and opera house throughout the world, even Jeffrey Tate himself has expressed astonishment at his own career. For, in a way much different than today’s somewhat self-absorbed, globetrotting, jet-set conductors, Tate shines as a conductor who, having overcome serious adversity, does what he does out of pure love for music and nothing else. Aaron has a passion for what he does, not only is it a lot of fun, but he wants to change the world’s perception of people in wheelchairs, as well as helping everyone see his/her own challenges in a new way. Aaron’s appeal is universal. 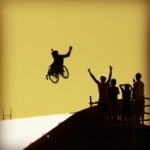 You certainly do not have to be disabled to be inspired by what he is able to do. 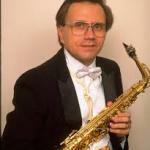 Having been born with spina bifida, Dr. Gwozdz also is an advocate for arts for the handicapped and Very Special Arts. He also is active in the Campus Crusade for Christ’s Christian Faculty/Staff Forum.